Scout Days are unique opportunities for your family to attend exciting experiences around the Atlanta Area with other Scouting families. All Scout Days are offered at a discounted price of admission, and a portion of the proceeds from each Scout Day is given to the Atlanta Area Council. Each year the council partners with various local and national organizations to bring family-friendly activities to our Scouts at a discounted price. Our partners include the Atlanta Braves, the Atlanta Hawks, Ringling Brothers, the Georgia State Capitol and more. Join us at the newly renovated State Farm Arena for Scout Night with the Hawks! 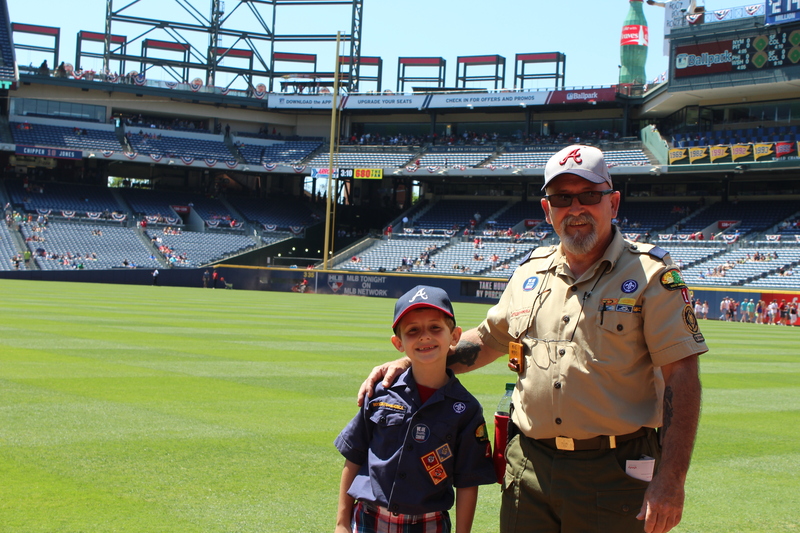 Discounted tickets are available for Scouts, family and friends, and each Scout will receive an Atlanta Hawks Scout Patch! Each ticket also includes $10 of food and beverage credit that can be used at our new restaurants inside the arena. Tickets can be purchased through the provided link or attached flier. Rise up and join the Atlanta Falcons for two exciting games this season. Cheer on your Atlanta Falcons against the Arizona Cardinals at Mercedes Benz Stadium. Discounted tickets will be available September 17-24 using code "RISEUPBSA."